I recently bought a 960 and have been doing research into the electronics on board. Between the excellent posts on this board and also the wonderful teardown at https://syonyk.blogspot.com/2018/12/roomba-i7-teardown-with-the-waving-cat.html, I think I've learned a lot about it. One thing that kept me up though was what others called the robot cat with the duster in the teardowns (it looks more like a dog to me). 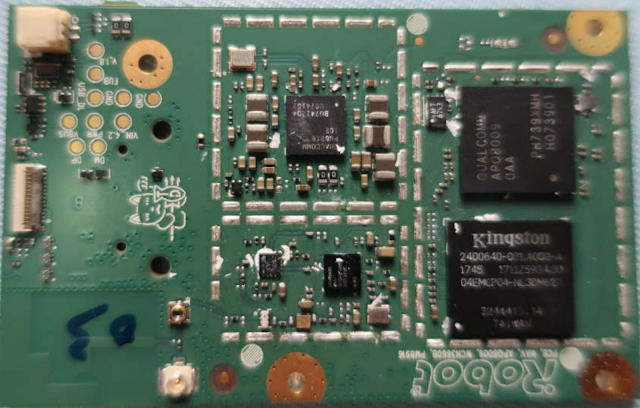 These are easter eggs from the module design team (ie the radio/SoC board is called Trident from the FCC markings, so the dog is holding a trident). So I think we can conclude there was a new team that worked on the camera/mapping software since these marking don't appear anywhere in the older modules (wheels, bump sensors, etc). 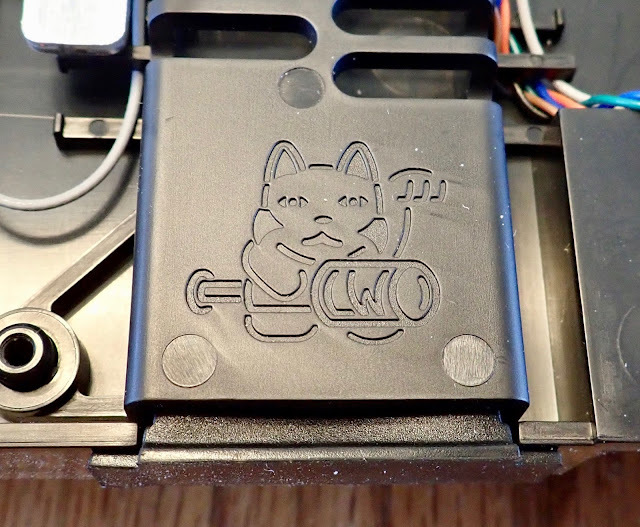 The LW port (named such because the 1st dog's tool is labelled LW), seems to be a debug port for the camera/navigation board in the 900 series, and for the main board on the i7 and is accessible from the dust bin side. There's no hardware accessories that plug into it, and it was probably used during the design phase. It makes sense given that the SCI port no longer would suffice with larger amounts of visual data. Since the i7 is lacking the SCI port, and there's the appearance of what looks like a new debug port on the 900 and i7 series, I was wondering if anyone had tried to connect to it? It wouldn't be surprising if they merged the SCI functionality into the LW port so they could debug everything with one connection. This is most definitely a cat.